The States of America will one day wake up and look back in horror. Just as the previous criminal states did. The Sacramento Sheriff's office did not immediately respond to Al Jazeera's request for comment, but a deputy with the South Sacramento California Highway Patrol confirmed to local media that someone suffered minor injuries from the collision. Local media also reported that the protester was hit after officers issued multiple warnings for those at the rally to disperse. 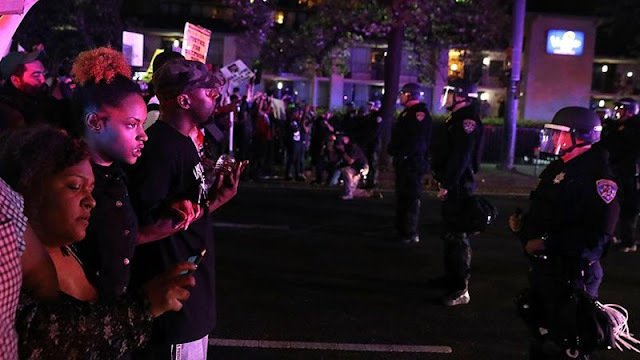 His killing set off a wave a demonstrations from Sacramento to New York City, reiginating calls to end what many call the systemic racism among US police forces.